SMI is pleased to invite you to Propak Africa 2016, the largest packaging, food processing, plastics, labelling and print exhibition in South Africa. The complete bottling and packaging lines proposed by SMI are ideal for production requirements ranging from 4,800 to 36,000 bottles/hour and are based on technologically advanced choices that ensure high efficiency, great management flexibility, low energy consumption and a quality/price ratio among the best on the market. To find out the many benefits of SMI product range, we invite you to pay a visit to SMI stand 6H6A-6H6B in the Italian Pavilion. Register online and get a free entry! 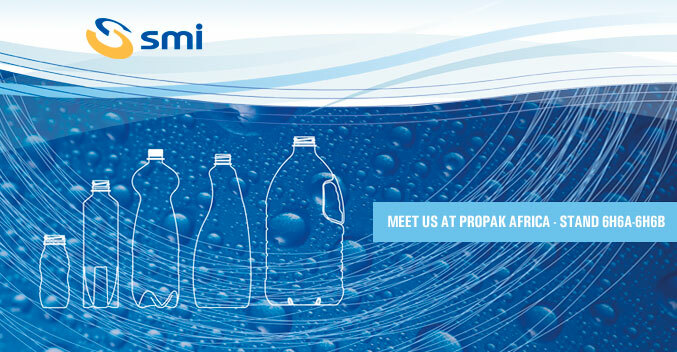 We look forward to meeting you at Propak Africa.